Relational algebra is a query language that is being used to explain basic relational operations and their principles. Many books and articles are concerned with the theory of relational algebra, however there is no practical use for it. One of the reasons is that no software exists that would allow a real use of relational algebra. Most of the currently used relational database management systems work with SQL queries. This work therefore describes and implements a tool that transforms a relational algebra expressions into SQL queries, allowing the expressions to be evaluated in standard databases. 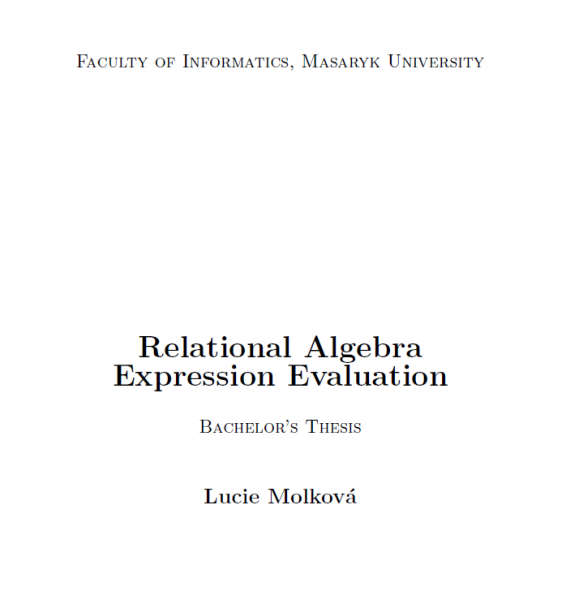 This work also defines a new, applicable syntax for relational algebra and describes its grammar in order to ensure the correctness of the expressions.